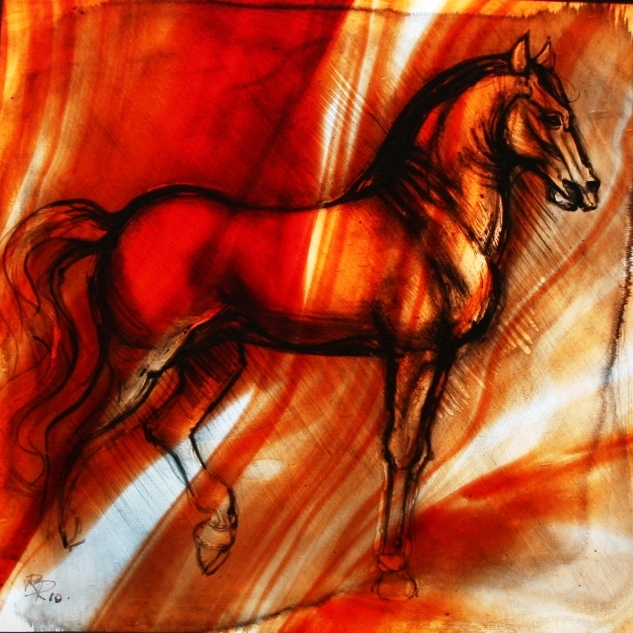 I’m a stained glass artist living and working in the beautiful Preseli hills of West Wales. I’ve chosen glass as my creative medium for the opportunity to engage with its unparallelled intensity of light and colour. I specialise in traditional glass painting and design and make new work for churches, private and public buildings in the form of windows and other other architectural applications. I also make smaller scale bespoke glass pieces using traditional stained glass techniques such as glass painting, staining and etching. Alongside my own work, I lecture part time at the Swansea School of Glass, part of Swansea Metropolitan University.